Apennine sheep (also known as Appenninica, Bariscianese, Chietina Varzese, or Perugina del piano) are white sheep that were found in the 1970s in central Italy, mainly in Toscana, Emilia, Umbria, arche, Abruzzi regions of Italy. They were developed by crossbreeding the local breed with other Italian or exotic breeds such as: Bergamasca and Ile-de-France. There are an estimated 250,000 heads, spread out over central and southern Italy. 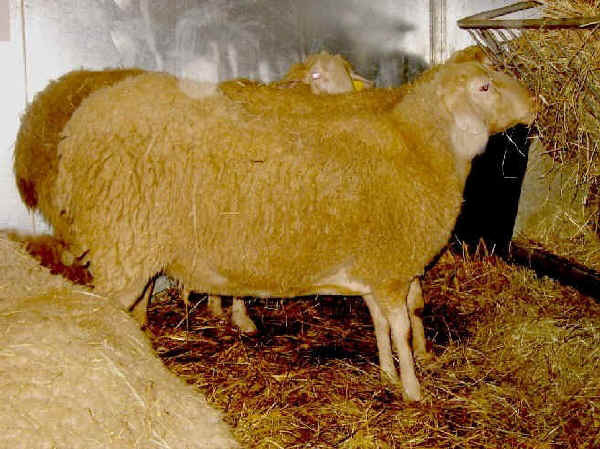 They are white with medium-wool that are raised mainly for meat.They are polled and have semi-lopped ears.